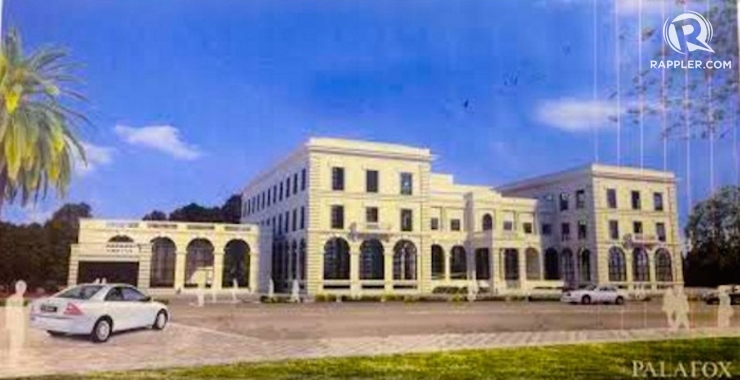 In recent days, there was so much buzz about a beloved Manila structure, the Manila Army and Navy Club. Apparently, there has been some activity going on in the area as it looked like there was part of the building that is going to be taken down. For a city that is still reeling from the loss of a number of heritage structures, not to mention the existing ones being endangered, questions and concerns have arisen: what is going on at the Army and Navy Club? Why is there a secrecy it seems? Is it going to be demolished as well? We cannot blame people from expressing these thoughts and concerns as there was actually not much news about this structure before this development. The news itself came as a surprise which few saw coming. But what is the real status right now of this structure? Is it really in danger? But before we get any further, I suppose it is appropriate for us to learn the story of this particular landmark, especially for us to understand better the circumstances it is facing right now. The Manila Army and Navy Club Building was completed in 1911 by William Parsons, an American architect who was also behind Manila’s early American structures like its next-door neighbor the Elks Club Building and the Manila Hotel. Parsons himself is also known as the partner of Daniel Burnham who helped conceive the original Manila masterplan of 1905. As the name implies, the building itself was home to the Army and Navy Club, the first American social club in the Philippines organized in 1898. It was an exclusive club at first, catering to military personnel as well as civilians from the US. As such, the club soon became known as a famed venue in Manila for social events during the American occupation of the country, with an orchestra playing every night at the veranda facing the Manila Bay. Filipinos however were off-limits in this venue, so they responded with the formation of their own clubs to counter the Army and Navy Club and other exclusive clubs. The building was used by the Japanese at the height of the Japanese Occupation during World War II and eventually suffered heavy damages during the war. It was rebuilt afterwards and reopened, this time no longer an exclusive venue as it was during the American colonial era. However, the building gradually fell into disuse and neglect as it was no longer being used for social events. Nevertheless, it has been recognized for its historic value. And in 1991, the National Historical Commission of the Philippines (or National Historical Institute as it was known back then) decreed the building as a National Historical Landmark to be given due protection and conservation. Over the years, there were moves to rehabilitate the Army and Navy Club building. It was briefly the site of the Museo ng Maynila, Manila’s city museum but it unfortunately moved out due to structural issues discovered in the building. Meanwhile, seaside restaurants have been put in the grounds where the building’s tennis courts used to be. At this writing, the final design for this “redevelopment” of the Army and Navy Club have yet to be submitted, though work has already begun on the area, which was the source of concern among several interest groups, especially from the heritage structure. Apparently, some portions of the building were being torn down, particularly the annex building which was okayed by the NHCP as it was not part of the original structure. Some have also noticed the building seems to being gutted from the inside, which the NHCP claims is part of an engineering study to determine its structural integrity. While these statements from the NHCP are reassuring to say the least, some quarters voice their skepticism. After all, the NHCP okayed the construction of the photobombing eyesore of Rizal Monument, the Torre de Manila. For now, it is important for everyone concerned to keep a close eye on the developments regarding this structure, to make sure it not only regains its old glory, (in one way or another) but also that how this is going to be done will be done in the right manner. Our city cannot afford to lose another priceless heritage landmark to soulless modernism. Let us not take away the city an important link between its past and its future.